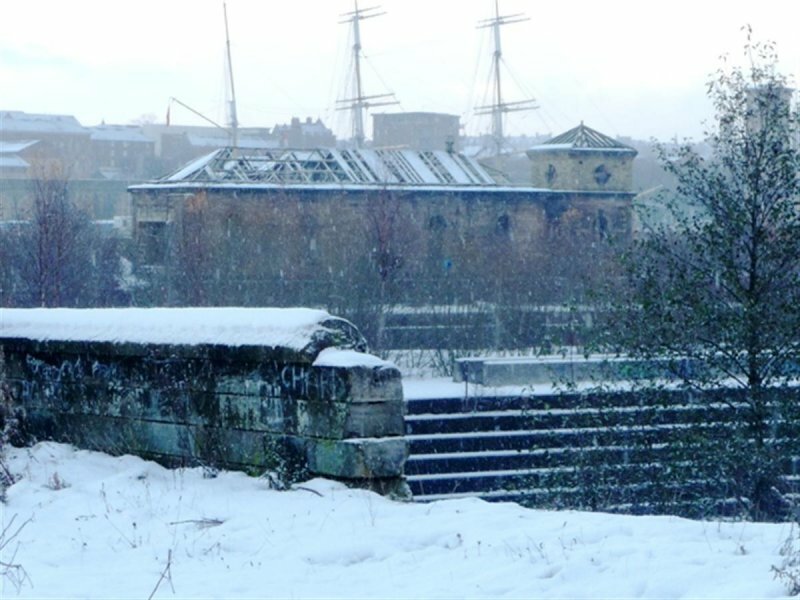 An outstanding graving dock complex without parallel in Scotland. 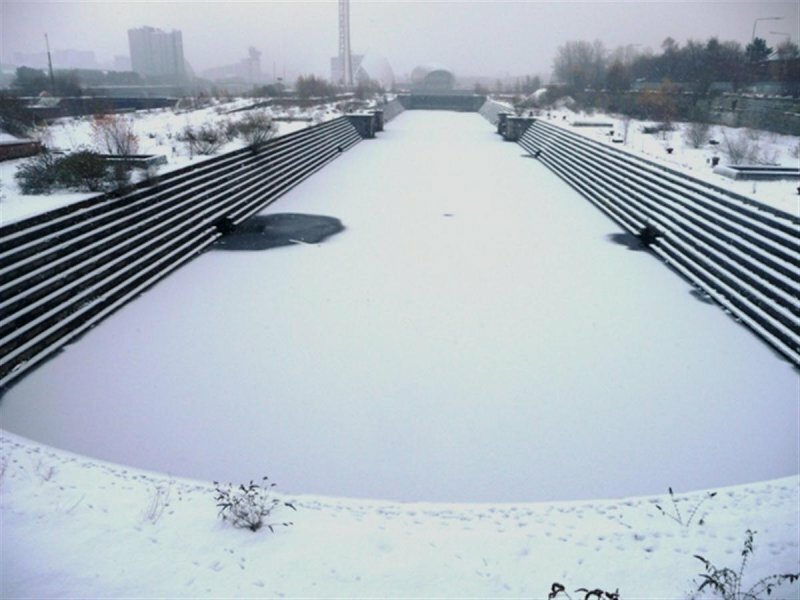 3 major dry docks, associated quays, capstans and bollards, pumphouses, workshops and other ancillary buildings, retaining and boundary walls, ramped accesses and stairs. The dock walls and quay edges are of grey granite, the working surfaces whinstone setted, and retaining walls and ramp sides are of cream sandstone. Cast-iron gatepiers. 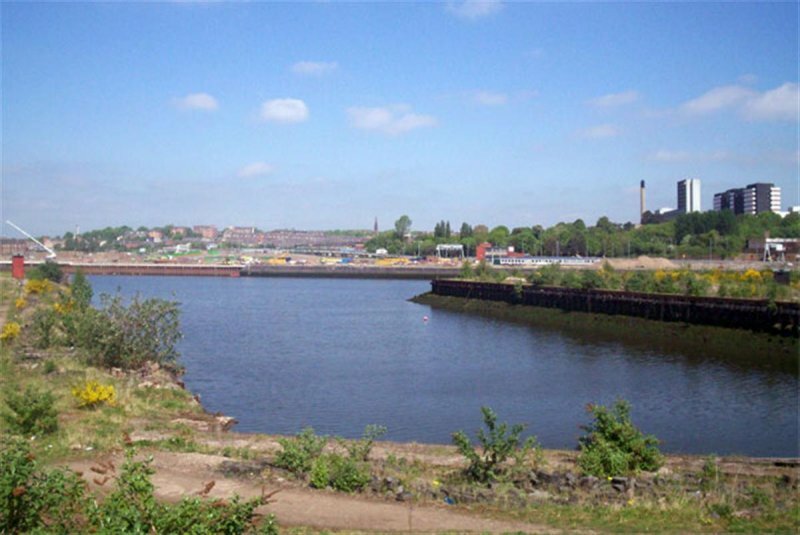 May 2008: External inspection finds the complex of docks to be derelict. Nearly all associated buildings have been demolished. Only Pumphouse Number 1 survives. The ground is overgrown with plants and bushes. There is graffiti throughout the site and the security fencing has been breached in several places. 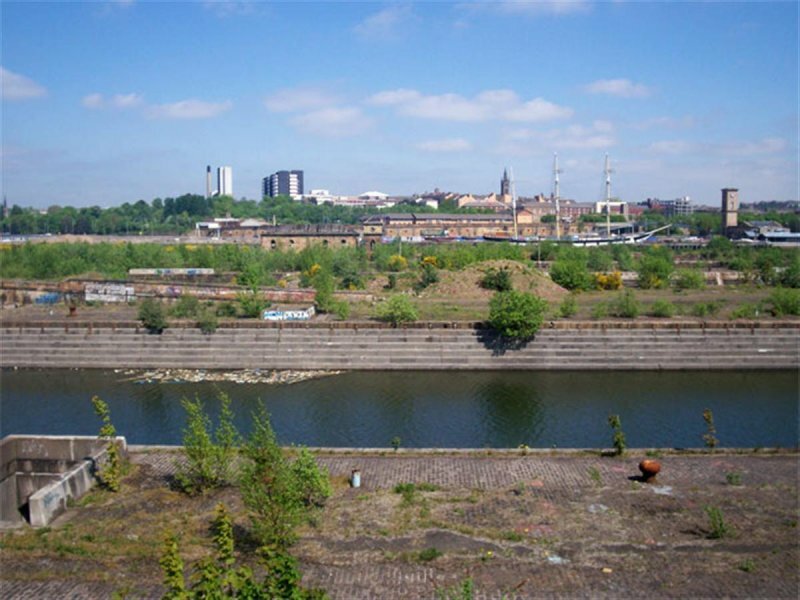 The area that includes the Govan Graving Docks is cited within Glasgow City Councils Masterplan 2005 as a regeneration site for residential/leisure and workspaces with associated uses. November 2010: External inspection finds the complex remains unused. There is no sign of maintenance. Pump House 1 remains standing but is largely roofless. 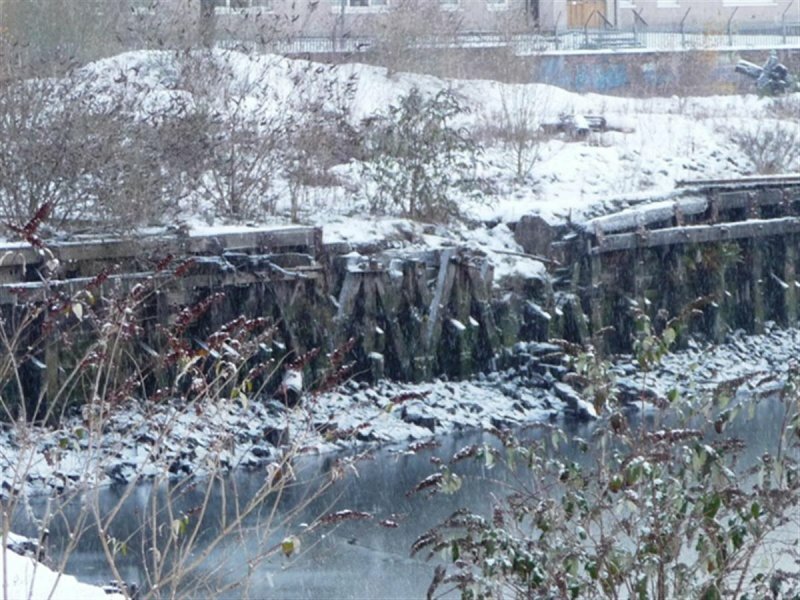 The timber wall of the basin is deteriorating and has partially collapsed in one section. 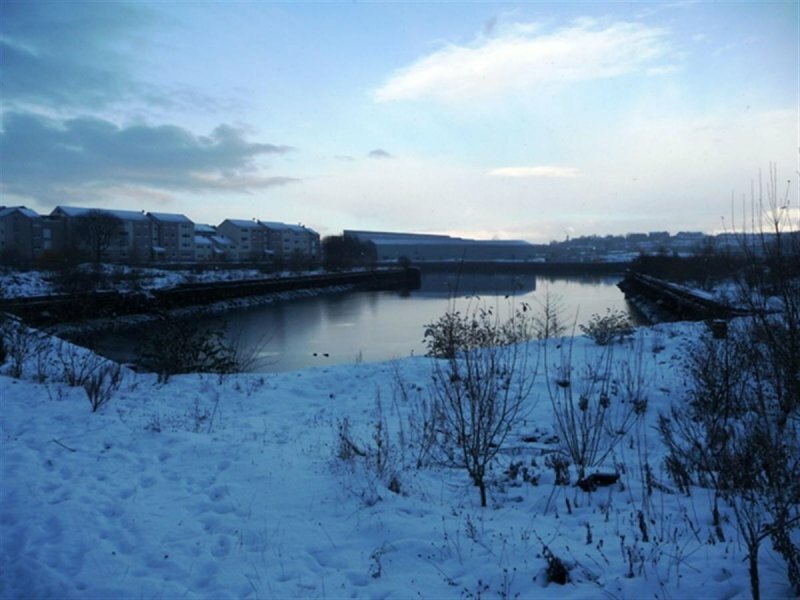 The City Dock development, which includes the graving docks, is noted on the Clyde Waterfront website as having revised masterplan consent granted, outline consent also granted with Section 75 agreement under negotiation. Alternative proposals are also noted as being considered. 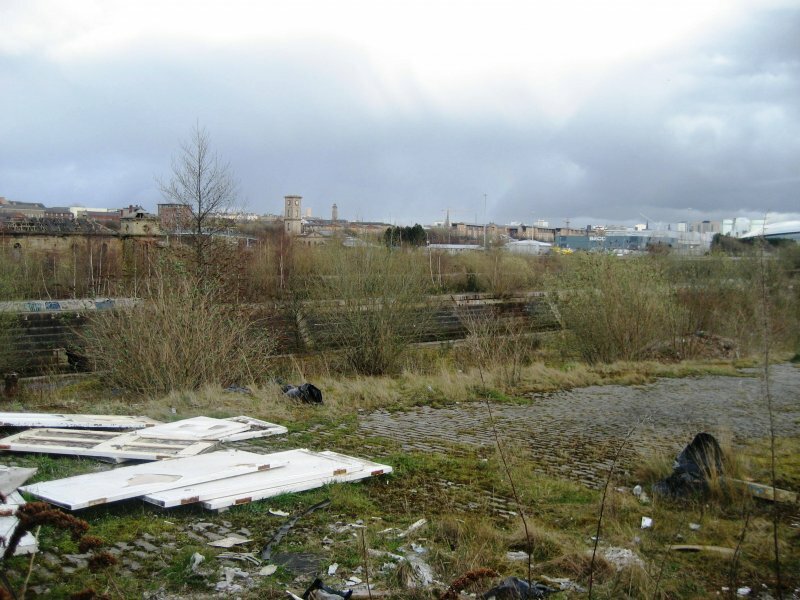 25 March 2014: Inspection finds the site remains overgornw and disused. There is a general increase in the vegetation at the site. 30 January 2015: Local planners report the building owner continues to work with their design team to prepare a masterplan for the site. Vegetation clearance works at the site were completed in late 2014. 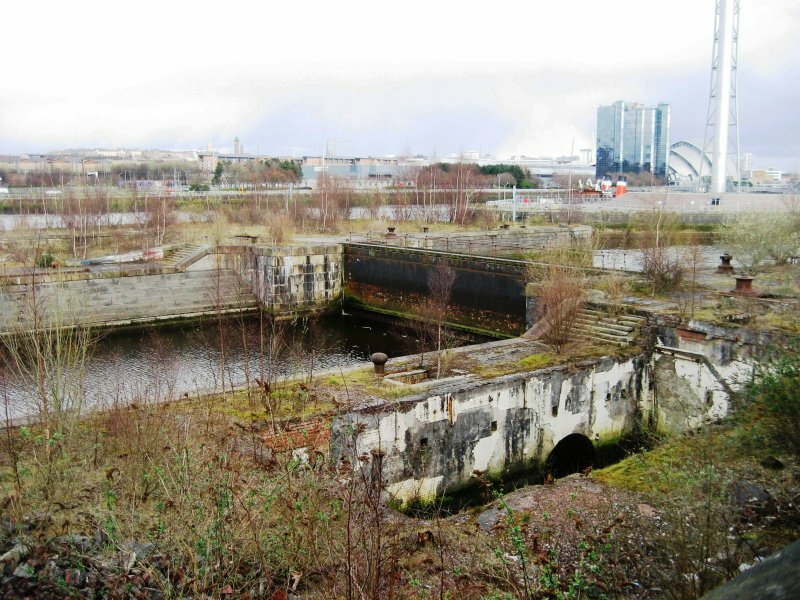 28 November 2016: BARR is contacted by the Clyde Docks Preservation Trust who advise they are developing a proposal for restoration of the docks as a maritime heritage park, as an alternative to residential development of the area, and would seek to acquire the site through charitable body, the Govan Docks Maritime Park. 13 April 2017: Local planners advise a Proposal of Application Notice for a mixed use development of the site has been lodged ref: 17/00050/DC. 24 November 2017: Planning Permission in Principle for the mixed use redevelopment of the site is being sought ref: 17/02948/DC. 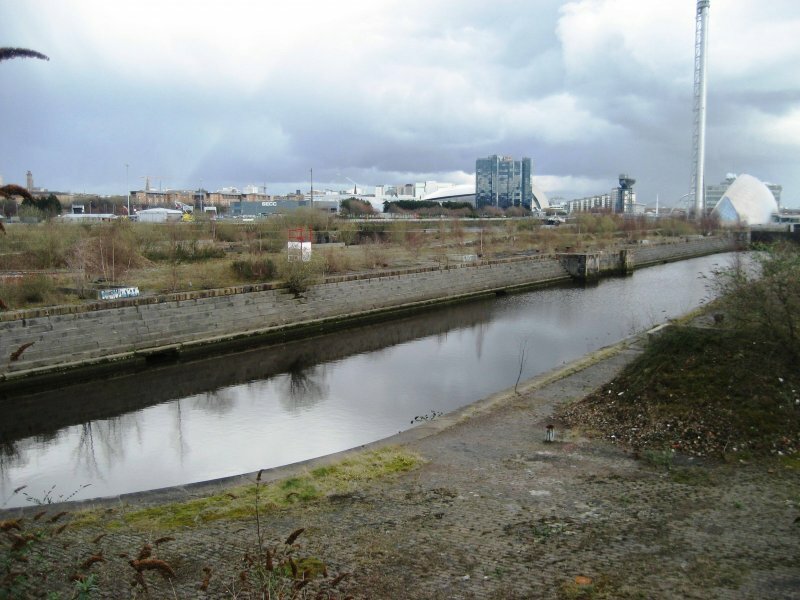 The application suggests docks 1 and 3 will be flooded, dock one will have moorings made available and 3 will be active space such as wakeboarding and open swimming. Dock 2 is proposed to be kept dry as a heritage space. Across the docks bridges will be retained along with winch capstans and lamposts. 13 December 2018: Local planners advise planning permission in principle (17/02948/DC) has been refused. SR Archives T-CN/14/291, T-CN/14/464/14/3, T-CN/14/464/4/7, T-CN/14/464/5/4. J F Riddell, CLYDE NAVIGATION p.136. Hume (1974) p.262.